Anyone who’s travelled with a person with autism can tell you how disruptive it can be. While strange places, airport security, traffic jams, and the lack of decent legroom are enough to put anyone in a tizzy, for those who are autistic — where a day-to-day routine is critical — these interruptions can be deeply disorienting. Luckily, if you’re staying at a Wyndham hotel, you’ve got some help. In a move that could — and should — be replicated by other large hotel chains, Wyndham has begun to tailor rooms specifically to the needs of parents and their autistic children. Wyndham’s recently redesigned rooms are a reflection of growing market demands for better services for people with autism, a complex developmental disability that impairs social interaction and communication skills and affects 1 in 150 children. 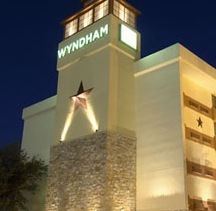 In Texas, Wyndham’s Garden Hotel Austin has five rooms for special needs guests. The rooms feature sounder sleeping security features: Door alarms that notify guests when their suite door has been opened (in case of late-night wandering), corner guards to protect from sharp table edges, outlet covers for electrical sockets, and child-proof door knobs and drawer latches. Also at the Texas property, guests get a bin of toys, a small refrigerator, and a special menu at the hotel’s restaurant. Deemed “Thoughtful rooms” for the hotel’s proximity to and partnership with the nearby nonprofit organization Thoughtful House Center for Children, these five rooms also come with a discounted price tag. In Florida, Wyndham’s Tampa Westshore was recently named an “autism-friendly” hotel by nearby University of South Florida’s Center for Autism & Related Disabilities. Rather than outfit special needs rooms, hotel staff are given sensitivity training and guests are provided with an “Autism-Friendly Toolbox” that includes detailed information about the hotel and gifts like crayons, books, and puzzles. This new initiative is part of Wyndham’s ongoing “Wyndham Cares” program, where the hotel “supports a different local charity each month in various capacities—from monetary to volunteerism to hosting some type of employee thank-you event,” according to Pam Avery, General Manager of the Tampa property. Both of these hotels have a strong relationship to the surrounding autism community, which informed the plans to develop the rooms. They could have also taken notes from the Clinton Inn Hotel in Tenafly, N.J., possibly the nation’s first hotel to cater to its autistic patrons. The plans were developed by manager Tony Morreale, whose son has autism. The Clinton Inn Hotel, a four-star boutique hotel owned by Concord, is marked by practical, personal touches like unbreakable glassware, rounded corners on the furniture, and a television affixed to the wall. For more resources on travelling with individuals with autism or other disabilities, Autism Speaks has compiled a handy checklist for travel prep, as well a round-up of other helpful links, including the Transportation Security Administration’s tips.